Conservatorship sale (living probate) requiring probate court confirmation. Court date set for 1/29/19 at 8:30 am. First overbid is $956,500. Central Stanley Mosk Superior Court of California 111 N. Hill Street, Los Angeles, CA 90012, Department 5. Case #16STPB07037 and #BP105310. 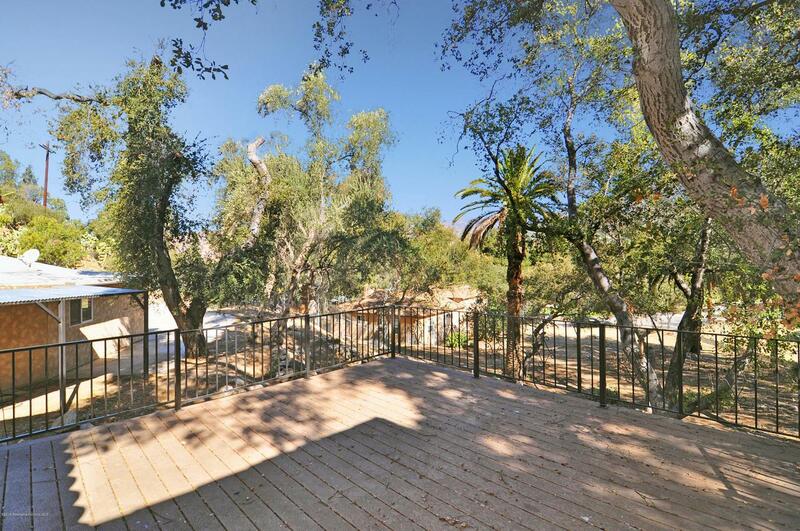 A unique offering situated in the hills of Tujunga across from McGroarty Park and near the McGroarty Arts Center, this property includes 3 fixer structures on 4 lots totaling 4.36 acres that will be sold together. APN#2563-005-005: 7572 McGroarty Terrace is a 3 bed 2 bath 1457 sf Spanish-style home on 20,065 sf lot that can't easily be seen from the street. This lot starts at the street level and is directly to the left of 7580 McGroarty Terrace (the house over garage). APN#2563-005-006 has no address and is a 12,922 sf lot (behind the Spanish-style 7572 house). APN#2563-005-007: 7580 McGroarty Terrace is a 4 bed 3 bath 1470 sf home over a garage on a 4,629 sf lot. APN#2563-005-008 is a 152,220 sf lot with a likely unpermitted structure at the end of the long driveway. This property is not deemed historic and is zoned equestrian. Sold as-is. This conservatorship sale requires court confirmation. Sold by Nonmember Agentdefault BRE#01164731 of Nonmember Officedefault.